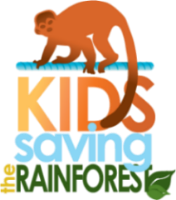 Please join the Kids Saving the Rainforest community and learn what we are doing daily in Costa Rica to strengthen our global environment and what you can do to help. By signing up you will receive the KSTR Newsletter in your e-mail box. Be sure to click Subscribe to list button at the bottom of the page when you are finished. Please visit our Website: http://www.kidssavingtherainforest.org . Please check areas of interest to help KSTR.